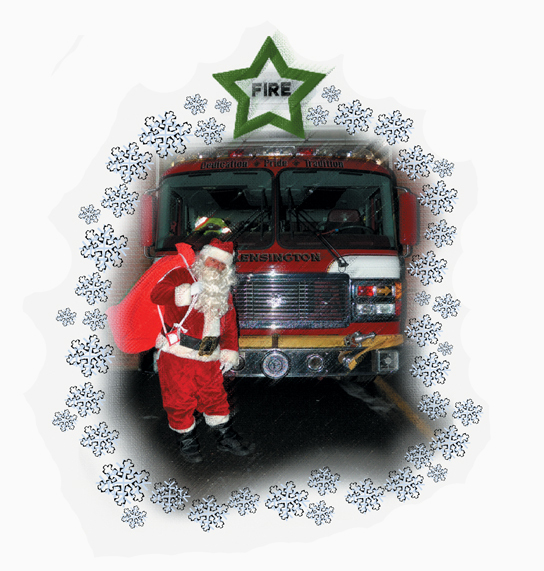 Surprise your child and support Kensington Fire-Rescue…. Santa is resting after a busy year on the Express. Thank you all for your support and we’ll see you in October next year for registration! Ho Ho Ho! Santa is making stops early this year and he is teaming up with the Kensington Fire-Rescue looking for good girls and boys! It’s that time of year again. Here is the information for Santa’s Express for 2018. Please be sure to read through all of it as we are trying to streamline a lot of our processes due to our growing popularity. Thanks everyone and we appreciate your continued support for our Volunteer Organization! REMINDER: The delivery address MUST be within the Town of Berlin. Registration is now CLOSED…. All sessions have been filled. Thank you for those that signed up and are participating this year! If you missed it this year, please try to see if you can join with a friend or neighbor, we are happy to add children to stops! Next stop, notification of your delivery dates as described below. Notification of Delivery Date – We will be notifying everyone, via email, of the date and time you will have for your Santa visit. Because there are just over 250 emails that we will be sending out, please understand that this will take a few days. We will be starting the process of emailing everyone with their date and time on November 5th and will finish emailing everyone by November 9th. If you have not heard from us after the 10th of November please shoot us an email and we would be happy to look up your date and time. Gift Drop Off – This year we are asking that all gifts, for your stop, fit inside a 55 gallon trash bag. There will be one at registration for you to look at. Please do not bring your gifts in a trash bag. We will provide one for you. Remember to have each gift wrapped and the child’s name clearly labeled on each gift. You will be signing up for a gift drop off day on the date of registration. Another email will be sent out reminding you of your date and of how gift drop off works. Gift Drop off Dates this year will be: November 13th, 14th, and 15th, from 6:00 p.m. to 8:00 p.m. at the Kensington Volunteer Fire Department. Thanks Everyone and we can’t wait to see you at registration! Now that you have seen our list, please check it twice because we hope this information has made the start of your holiday season so nice! Merry Christmas from Kensington Fire-Rescue!